Layout #1: Oh so peaceful and serene...you're right -- what a view! Beautiful composition, Rose. 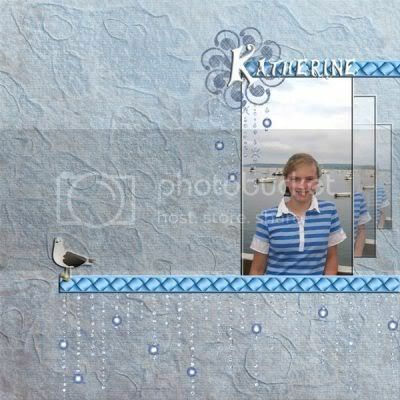 Layout #2 (Katherine): There's a lot of creativity here. Love the stacked photos and the use of the tufted ribbon here. And using the raindrops hanging at the bottom of the page is a great effect - looks like watery gems.